With the knowledge that gum disease affects more than 80% of dogs and nearly 70% of cats by the age of three, Winnetka Animal Hospital is pleased to offer full dental services (American Veterinary Dental Society). Health issues such as inflamed gums or periodontal disease are high risk and very common, but they can easily be prevented with the right care. Your cat and dog are offered a full array of dental services at Winnetka Animal Hospital. With preventative care and education being our top priority, our veterinarians are trained to show you how to brush, what to pay attention to, and how to deal with an uncooperative pet. Working together with our team will have your pet accustomed to daily brushings in no time. Each animal’s dental health is unique. Winnetka Animal Hospital offers treatments ranging from a new diet, regular brushings, and special toothpastes, all the way to x-rays, cleanings, and extractions. The combination of our equipment and expertise will have your pet’s teeth healthier than ever. Our in-house digital dental radiography system uses x-rays to create localized images of each tooth and surrounding bone in your pet’s mouth. 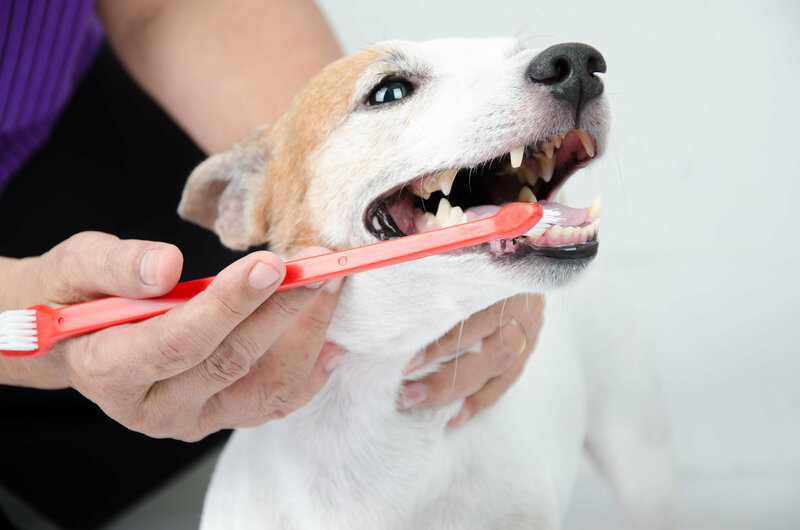 This will benefit your pet’s health by allowing our team to identify problem areas before they become infected, diagnose dental problems, and follow your pet’s health over time. If you notice any of these dental warning signs, bring your pet in to Winnetka Animal Hospital for an evaluation to make sure your pet is not in any pain. To schedule your appointment, call (847) 441-7474.